The philosopher and statesman Edmund Burke is often lauded as the founder of modern conservatism. Burke was born in Dublin in 1729 and educated at Trinity College. In 1750 he moved to London, where he stayed for the remainder of his life. When he arrived in London, Burke had a very brief career in law, but he soon dedicated his life full-time to critical thinking, writing, and politics. Over his long and distinguished career Burke published a number of groundbreaking books, including A Philosophical Enquiry into the Origin of Our Ideas of the Sublime and Beautiful and Reflections on the Revolution in France. Burke lived during an extraordinary period in British history, where his good friends included Samuel Johnson, Adam Smith, and David Hume. 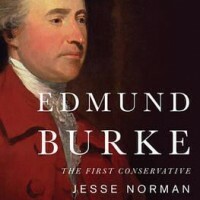 In his new book, Edmund Burke: The First Conservative, Jesse Norman dissects Burke’s outstanding intellect and his career. He then asks how Burke’s ideas might be applied to modern politics. Jesse Norman is a Conservative MP for Hereford and South Herefordshire in the UK. He is a senior fellow at the UK think tank Policy Exchange and has taught philosophy at University College London and Birkbeck College. In the book you discuss how Burke believed the only way to destroy what he insisted was the “King’s network of patronage” was through political parties. Can we see this as the precursor for the modern political party? Well, the idea of a political party for Burke is contrasted with the idea of a faction, which is a group of people who come together to achieve a goal. They have no further glue that keeps them together after this goal and therefore they tend to disperse. In opposition to that idea is a party, in which a group of people are united around a principle that cannot be exhausted. Therefore they do not disperse after some particular achievement. They maintain themselves. What is so fascinating about Burke’s conception of a political party is that he then builds into this a wider notion of what you might call a para-constitutional role. This is where political parties serve a number of functions: they act to debate, to create an oppositional government, to train and recruit political talent, and to make political principles more effective and create an open government. So I think when people denounce political parties now within our current political system, they are often unaware of the alternatives. And the alternatives are a system of factions, which you see in the eighteenth century, before the idea of party politics really took over. If it’s not a politics of faction, then you get a politics of special interests: this is what you see in America presently, where very lightly whipped parties are dominated by a money interest. You describe Burke as one the earliest postmodern political thinkers. You also refer to him as one of the greatest critics of the modern age and of liberal individualism. Can you briefly talk about this? Well Burke is not a postmodernist in the sense that he does believe that there is truth and falsehood. He doesn’t believe that everything is a matter of narrative or power relations. But he is a postmodern: that is to say his thought contains within it a critique of modernity. And that critique begins with an understanding of human nature. Because where modernity goes wrong—from a Burkean perspective—is in the application of human nature to our reasoning of human affairs. That is something that you find within liberal individualism: this idea of treating a human being as a mere economic agent. This gives rise to cultural feedback that then bends the nature of humans, because they react to how they are understood. So you have this perception that people are simply motivated by greed and fear. That greed-and-fear psychology then gets embedded in a culture. But what Burke says is that humans are not mere economic agents; what really matters is how they link with each other. We cannot see people only in terms of incentives, but in terms of habits and affections as well. When you do that, you get a rich conception of the social order. It’s an idea where people are not just driven by greed. You get a much better idea and understanding of how people actually behave. You also avoid these effects where people are encouraged to be greedy, and therefore they become greedy as a result. Capitalism vs. the Free Market, by Ivan Pongracic. This is how, in January of 2012, the Financial Times started its series “Capitalism in Crisis” (italics are mine). 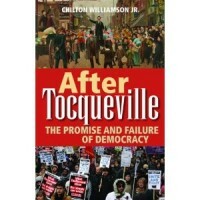 Even worse, the introductory article then continued, the above mentioned villains simply bought the politicians and “bought themselves protection from proper societal accountability.” So for the next four weeks, economists, politicians, editorial writers, and just about anybody else, attacked or defended something called “capitalism,” trying to offer explanations for what we have experienced in the last several years. As a professor, I must admit, I have no problem with defending a system so defined, but the question I pose is, has capitalism really proved itself so pure in the real life? We’ll come back to this in a moment. Defending the Free Market: The Moral Case for a Free Economy, by Father Robert Sirico, president of the Acton Institute, has the same goal but a different approach. Through a personal story, Father Sirico tells us how he came to discover the Truth—actually two truths: economic and spiritual. Realizing that our country has a huge problem, he warns that “when a people surrenders their [sic] freedom to government—the freedom to make moral, economic, religious, and social choices and then take personal responsibility for the consequences—virtue tends to waste away and faith itself grows cold.” Only responsible people can save America. “Philanthropy, charity, voluntarism, activism, and care for the family and the poor are all related to the same impulses that drive the market economy: the peaceful and free association of people in the service of others.” Again, no problem in defending such a system, but is such a system possible at all? Let’s turn, first, to some definitions, as one must be careful in word choice when economic systems are discussed. 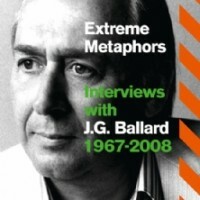 Palmer does insist, as the title of the book implies, on using the word capitalism. In the section “The History of a Word,” he tells us that the word was not invented by Karl Marx, as usually believed; it was already used in the twelfth and thirteenth centuries. Only with the birth of socialism did the word become a term of abuse. Despite his explanation, I, myself, see no reason for insisting on the word. Even several of the contributors in his book use terms like “the free market” and “the market economy,” trying to avoid a word so ambiguous and by now so ill-reputed. The above quoted article from the Financial Times insists on many variants of capitalism. Father Sirico himself calls it “admittedly a narrow and problematic word.” Palmer simply decided to shrug off such linguistic pedantry. Isn’t that exactly what Marx just said? Is Palmer proving Marx right? Does capitalism inevitably end up in crony capitalism? 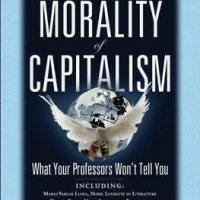 And if so, how can Palmer declare capitalism not only moral, but the most moral of all economic systems? Whether or not they agree with the specifics of Fukuyama’s claims, political scientists, policy analysts, and policy makers share his fundamental assumptions. They disagree chiefly over the means by which liberal democracy should be spread throughout the world. Though the experiences of the last decade have chastened advocates of promoting democracy around the world, support for liberal democracy remains the default position for U.S. foreign policy. Even when support for democracy undermines allies and facilitates the rise to power of anti-Western parties—that is, even when it seems to work contrary to the national interest—American administrations tend to stay faithful to promoting democracy.